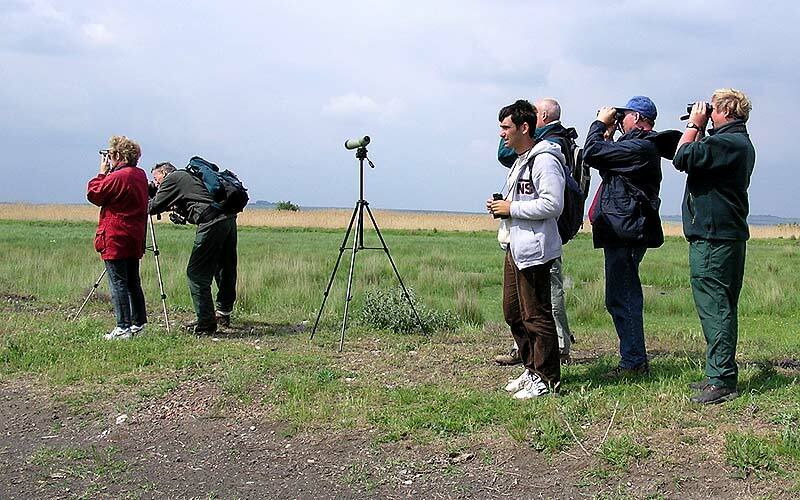 The migration along Via Pontica flyway is a performance, attracting birdwatchers from all over the world each year! Be a part of it! Conditionally named “Autumn tour”, it is usually realized at the end of the summer. Lying over two of the biggest migratory routes in Europe (Via Pontica and Via Aristotelis), the territory of Bulgaria is an important stop-over for many migrating and wandering birds during this season. The Black Sea coastal wetlands (lakes and lagoons) provide some of the best conditions for watching thousands of soaring migrants! Huge flocks, comprising hundreds and thousands White Storks, White Pelicans and Honey Buzzards could be seen per one day only along with many other birds of prey like Montagu’s Harriers, Black Kites, Short-toed Eagles, Levant Sparrowhawks etc. Additional tour will be performed through the Eastern Rodopi Mountains which is a breeding site of international importance for some of these species. Arrival at Bourgas Airport. Overnight in Bourgas is arranged for the next two nights. 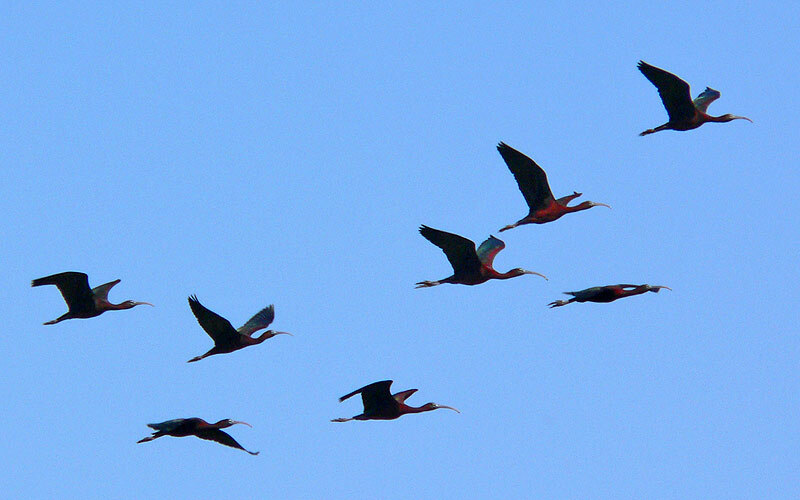 We will devote the day to watching the delightful autumn migration of soaring birds using the “Via Pontica” migratory route from different watchpoints near the town of Bourgas (Atanasovsko Lake and Poda lagoon). Except for migrants (thousands of White Storks and Honey Buzzards, numerous Montagu’s Harriers and also Levant Sparrowhawks, Booted and Short-toed Eagles, Black Kites, Red-footed Falcons, Lesser Spotted Eagles etc.) these are stops-over for many water connected species of birds (White and Dalmatian Pelicans, Spoonbills, Pygmy Cormorants, Little Egrets, Marsh Sandpipers, Red-necked Phalaropes and even Slender-billed Curlews). In the morning we head northwards tracing the Black Sea coast where meetings with huge flocks storks, pelicans and birds of prey are expected all the time. With short stops en-route by the Pomoriisko Lake and in Goritsa forest (Slender-billed and Mediterranean Gulls, many species of waders, Bee-eaters, Syrian, Lesser Spotted and Middle Spotted Woodpeckers, Semi-collared Flycatchers, Golden Orioles) we reach Cape Kaliakra and Bolata Bay, situated among the most valuable steppe habitats in Bulgaria (European Shags (Mediterranean race), Stone-curlews, Alpine Swifts, Calandra and Short-toed Larks, Tawny Pipits, Lesser Grey Shrikes, Pied Wheatears etc.). We spend the night in the town of Balchik. After breakfast we head to Dourankoulak Lake (Little Bittern, Purple Heron, Glossy Ibis, Great Egret, Ferrugiunous Duck, Stone-curlew, Whiskered Tern, Paddyfield Warbler, Calandra Lark and others) and the wetlands by the town of Shabla (Ferruginous Duck, Caspian Tern, Black-winged Stilt, Curlew Sandpiper, Marsh Sandpiper, Bee-eater, Roller, Hoopoe, Lesser Grey Shrike and many more). In the afternoon we head back to Bourgas. We spend the night by Bourgas (total transfer time about 4 hrs). The realm of birds of prey in Eastern Europe is expecting us this morning. We head to the Eastern Rodopi Mountains and the town of Madzharovo. 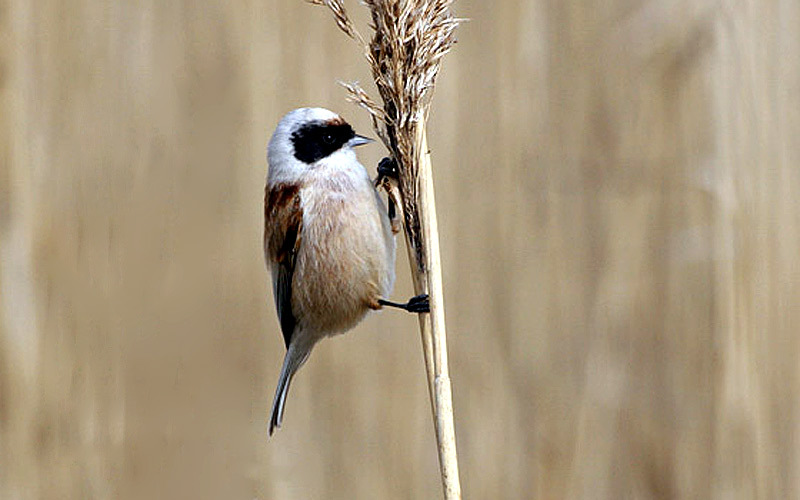 Although the breeding season has already passed, there is still good opportunity to enjoy interesting passerines and of course many different species of raptors (Black Stork, Griffon and Egyptian Vultures, Short-toed Eagle, Booted Eagle, Long-legged Buzzard, Scops Owl, Rock and Blue Rock Thrush, Barred, Orphean, Sardinian and Subalpine Warblers, Cirl and Rock Buntings, Red-rumped Swallows, Black-eared Wheatears, Rock Nuthatches etc.). We spend the next two nights in Madzharovo. It will be an active birding day. In the morning we make a trip to the spectacular area of Studen Kladenets dam and explore the vicinity of the village of Potochnitsa. There we will have short strolls to a few watchpoints and not the least to the “vultures restaurant” (Egyptian, Griffon and Black Vultures, Long-legged and Honey Buzzards, Short-toed Eagle, Barred, Orphean, Sardinian and Subalpine Warblers, Cirl and Rock Buntings, Eastern Bonelli's Warblers, Red-rumped Swallows, Blue Rock Thrushes, Black-eared Wheatears, Rock Nuthatches etc.). In the afternoon we make a short trip along the Krumovitsa River where we will continue watching and hearing passerines advertising their appearance in the undulating countryside (Stone-curlew, Olivaceous and Olive-tree Warblers, Masked, Red-backed and Woodchat Shrikes etc.). Around evening we turn back to the hotel in Madzharovo. 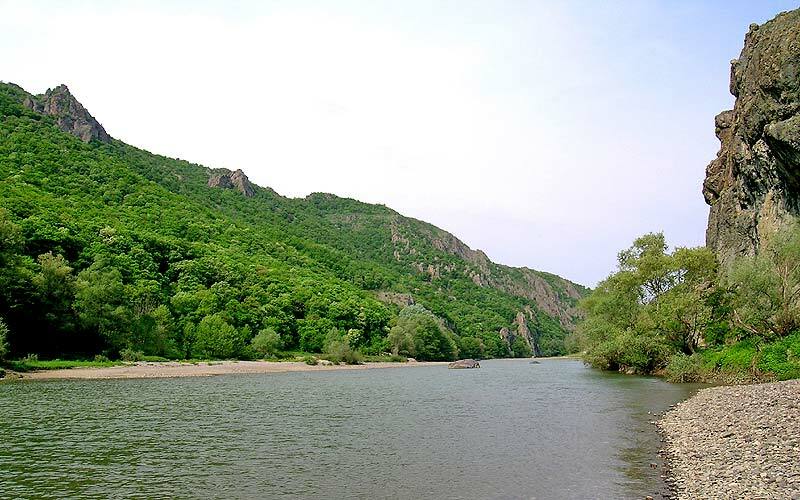 In the morning we depart from the Eastern Rhodopes for a contrariwise journey to the town of Bourgas. 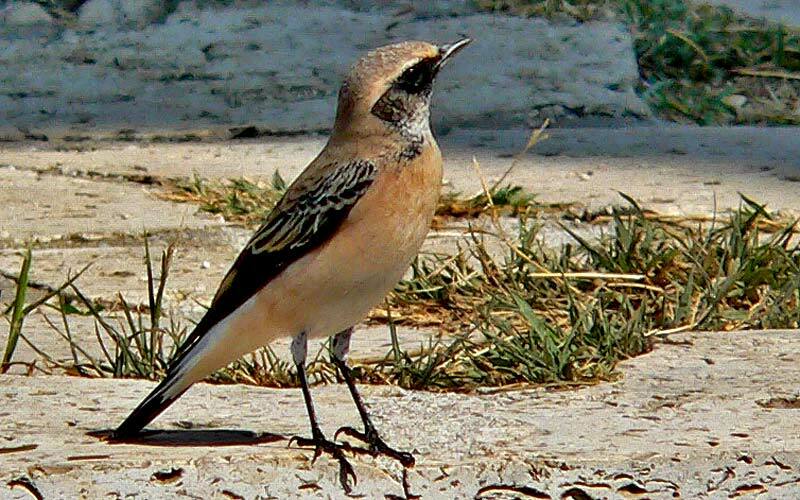 Our trip will pass through interesting habitats in Sakar Mountains (Lesser Spotted, Short-toed, Eastern Imperial and Booted Eagles, Olive-tree and Olivaceous Warblers, Barred, Orphean, Sardinian and Subalpine Warblers, Red-rumped Swallow, Isabelline Wheatear, Woodchat, Red-backed and Lesser Grey Shrikes, Eastern Bonelli’s Warblers, Cirl and Black-headed Buntings etc.). By the town of Sliven we will see colonies of the attractive little Souslik. 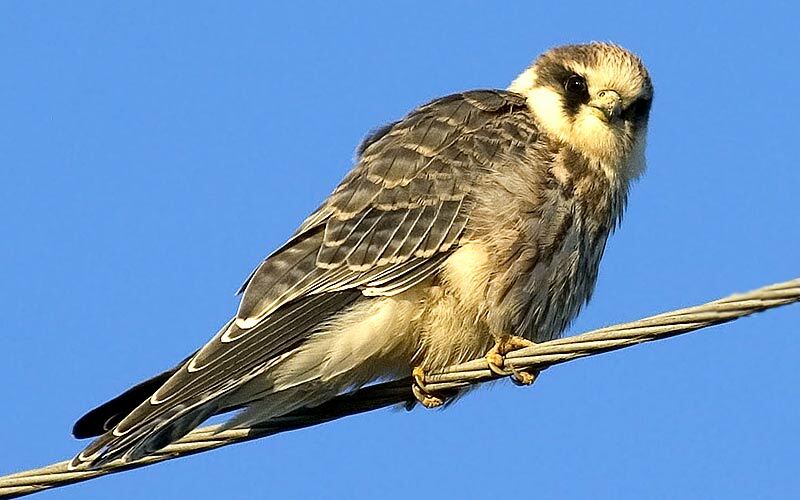 The fields nearby are also a regular feeding place for Montagu’s Harriers, Red-footed Falcons, Lesser Spotted and Eastern Imperial Eagles. In the afternoon we will have again some time for watching the abundant migration along the Black Sea Coast. Price includes: ►We stay overnight in standart hotels (and in a guesthouse on days 5 and 6) with en-suite facilities and breakfast included. Ordering lunchpacks is also possible. ►transfer to/from Bourgas Airport ► English-speaking birdwatching guide ►luggage and private transfers as mentioned above ►entrance fees for Poda lagoon, Pomorie Lake and Cape Kaliakra; ►VAT and all local taxes. OBS! The price of the tour for 3-4 people is 640 EUR per person; for 4 or more - 525 Euro/person! Not included: ►flights ►maps (could be requested in advance when booking the tour) ►tips ►alcohol drinks ►lunches/lunchpacks ►other entrance fees and other personal expenses. Other expences: ►Single room supplement (obligatory for individuals staying in sgl room): 100 Euro.